Will Harley-Davidson’s Latest Efforts Work? | Hupy and Abraham, S.C.
Will Harley-Davidson’s Latest Efforts Work? It’s an interesting time for the heavyweight motorcycle giant. 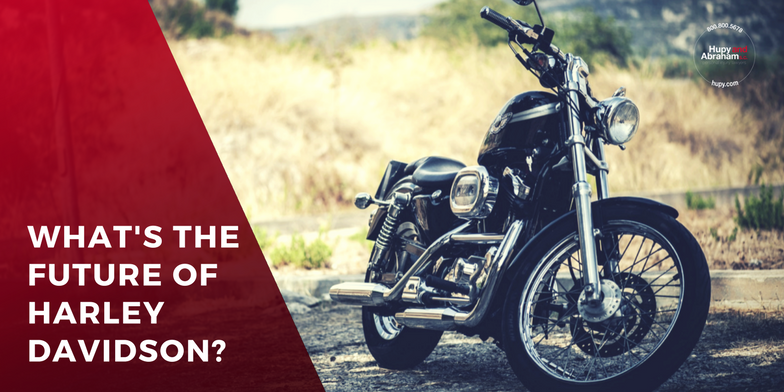 Customer demographics and demands are changing in the motorcycling market, and manufacturers have definitely taken notice. Recently, Harley announced the closure of their Kansas City, Missouri plant (which will eliminate about 800 local jobs) in a plan to consolidate some of their manufacturing efforts into their York, Pennsylvania plant. The public response to the announcement has been everything from critical about the closure and impending plant opening in Thailand, to supportive of the changing times. The International Association of Machinists and Aerospace Workers (IAM) even sent a letter to the White House directly appealing to President Donald Trump to help save the KC plant. Harley responded to these homeland pressures by standing by their decision and vision of the future, stating, “While we value the opinions of our unions and elected officials, unfortunately, there is nothing that could have been done to address the pressure of excess capacity we have in the U.S. market." The shift in resources is just one step in a large overall plan for change within the company, one which includes new models, electric bikes and revamped rallies. Only time will tell if the future plans of arguably the most recognized motorcycle brand in the world will pay off. No matter what you ride, YOU can show your two-wheeled love and promote the motorcycling awareness message by ordering your FREE “Watch for Motorcycles” sticker here!